The concept of permanent electrical voltage testers installed into electrical panels is a true safety-by-design innovation. Fundamental to mechanical Lockout/Tagout (LOTO) is the bump-test, which is OSHA’s required procedure of ensuring that all energy sources are in a safe state. Many technicians began mistrusting the bump-test due to sophisticated control and machine safety systems, so in most cases, it was rendered irrelevant and ineffective. However, voltage indicators installed on the load side of isolators provided a simple cost-effective way for front-line workers to see first-hand that electrical energy was off. By opening the isolator, the voltage indicator changes state (illumination to no illumination) which helps determine; 1) that the right isolator is open and functioning; and 2) that there is a low residual risk of the electrical energy causing hazardous motion. In addition, NFPA 70E determined that opening electrical panels was risky, so even a simple voltmeter test for electrical isolation in mechanical LOTO was not practical and added more, not less, risk. The end result was that workers were more productive and reported saving an average of 13 minutes per LOTO. Voltage indicators installed on isolators brought an unexpected safety dividend to electrical LOTO. 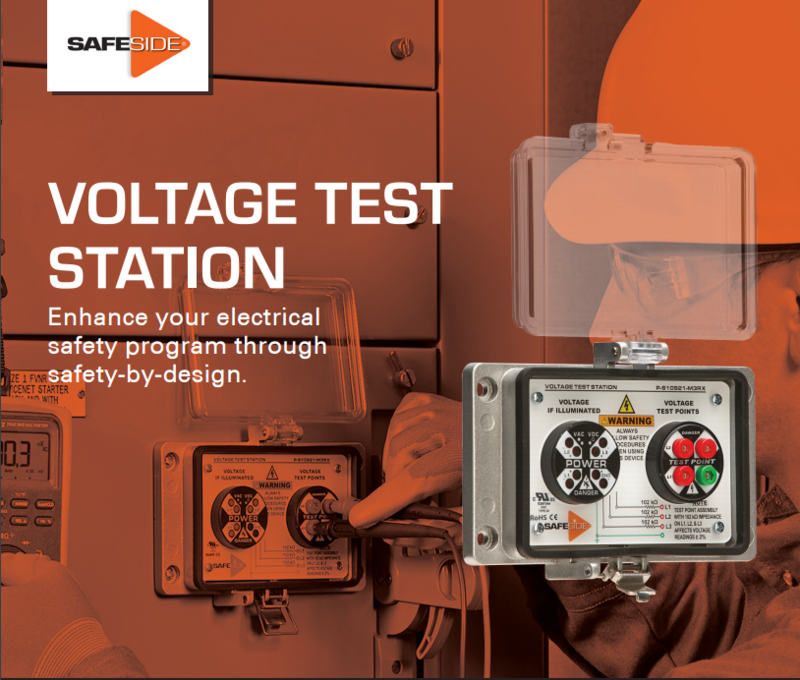 Voltage indicators essentially reduce risk, by increasing the likelihood that workers are exposed to zero voltage when performing the OSHA required absence of voltage voltmeter test on the disconnect switch after opening the enclosure. The reliability record of voltage indicators coupled with the statistical improbability of a combined, simultaneous failure of both the voltage indicator and isolator has made their use a widespread practice for over a decade within many Fortune 500 facilities. The 2016 UL-1436 standard provides the first attempt to wrap a product standard around a permanently installed absence of voltage tester. Several revisions of this product specification may be necessary before qualified electricians working on electrical equipment will trust their life to such a device—safety is very personal.